Let's be honest, there's not a lot to say here other than I freaking love the color of orange. I have a bizarrely large number of clothing items and accessories that are orange. Orange is a good punch of vibrant color and also warms up an outfit. When I was reorganizing my bookcase the other day, I realized I had a lot of orange books as well. 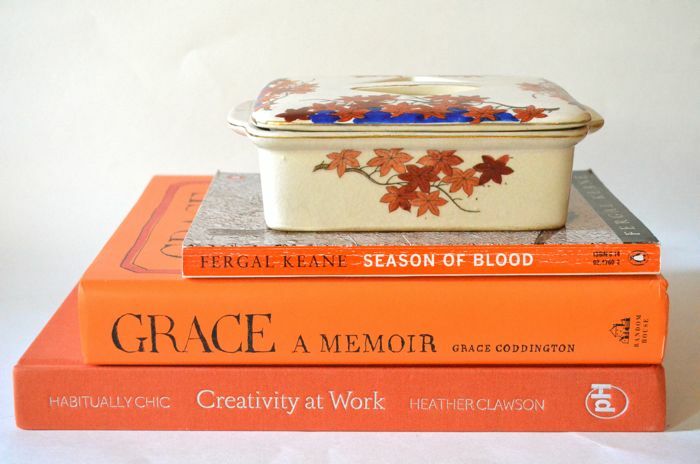 Season of Blood, Grace and Creativity at Work are three of my favorite books, and I love the china dish on top. 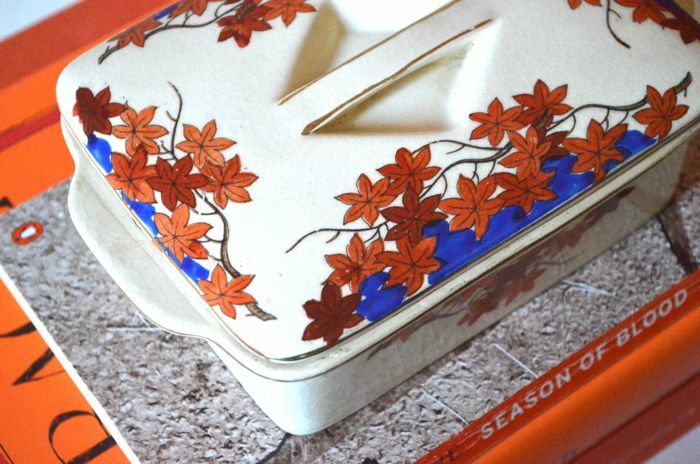 My dad purchased the dish when he was stationed in Asia. The delicate design and the splash of blue are just lovely. What are some of your favorite accent colors? Blue. My grandmother seemed to have at least one piece of blue furniture in every room and I loved it. Oh my gosh, Maggie, I really love that anecdote. Very cool.